After almost ten years, Twitter has become the pulse of the planet. Users post more than 6,500 new Tweets every second, sharing information about everything, from the mundane to the world-changing. While some might be worried about Twitter’s growth slowing down, it’s just as important as ever to digital marketers. In fact, Twitter is a core ingredient in a successful multi-channel social media strategy and there are a number of ways brands can take advantage of this rich resource to improve their social programs. Twitter owns the moment. It’s where news breaks, reactions happen and opinions form, all in real time. Since 2006, those moments have multiplied into an archive of hundreds of billions of Tweets, an incredible record of the world’s response to events – big and small. This record comprises one of the world’s richest social data sources – a vast archive of hundreds of billions of Tweets. The good news for all of us is that this archive is both robust and accessible. Because of the work Twitter and Gnip have done to maintain data integrity over time, brands can reliably access Tweets from any time in Twitter’s history, either through Twitter/Gnip or through a third party partner, depending on what they need. And it’s not just their own Tweets either – the Twitter data archive is full-fidelity and open to the world. The data in the Twitter archive is perfect for research. Brands can use this data treasure trove to understand how customers talk about their products and their competitors, how people reacted to news, what features customers like or don’t like, how a past campaign performed and so much more. And it turns out this data can be useful for purposes well beyond Twitter itself. 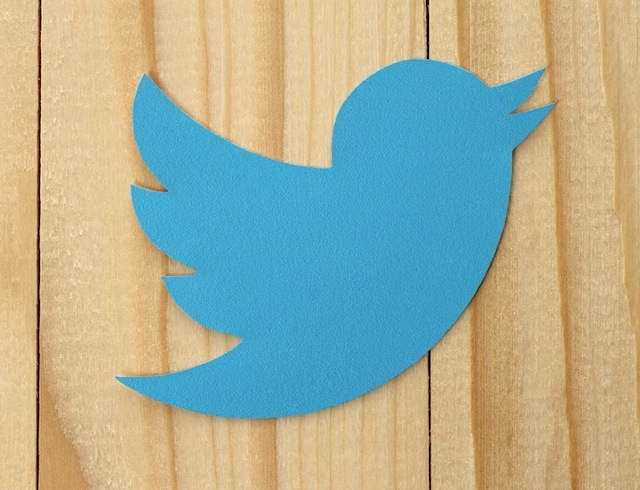 You can use Twitter data to inform a campaign you’re planning on Facebook or Instagram. Find out what worked before, what didn’t work, what you can improve. Learn how people share content from other networks on Twitter, or how they react to information they’ve seen elsewhere. People turn to Twitter to complain about Facebook being down, discuss a new Snapchat feature, or share a new YouTube video. You can learn a great deal from these conversations and then use that insight to inform your social strategy both on Twitter and off. Tap into the zeitgeist. Identify major trends you want to be involved in (or discover those you don’t). Use Twitter data to see what a trend is really about, the kinds of content others are posting, and whether it makes sense for you to participate. Generally, the kinds of things you see on Twitter will reflect the conversation in other channels, so if people are badmouthing or posting negative content about something on Twitter, that’s probably what they’re doing on Facebook or Tumblr, as well. Become a social ethnographer. Spend some time observing the people and culture around a topic important to your brand. Study how people talk about that topic, the kinds of language and hashtags they use, the sorts of media they share. Before you ever post something targeted toward a new community, get to know that community and how they interact with each other. You can extend this knowledge beyond Twitter; the photography community on Instagram likely cares about the same kinds of content as the photography community on Twitter. In fact, it’s probably a lot of the same people. Focus on the delta. Move beyond simple volume counts as your go-to metric. Instead, look for changes in volumes to better illustrate increases or decreases in interest in a topic over time. Drill into the Tweets to learn how content has changed for a particular topic. You can even pinpoint key inflection points by identifying acceleration or deceleration in a conversation. When does the conversation shift and why? Control crisis communication. If the worst should happen and you find yourself dealing with a brand crisis, turn to Twitter first to understand the extent of the conversation about the crisis. In fact, you might even discover the crisis on Twitter before it pops up on other channels. Either way, Twitter will help you learn what people are talking about, as well as the size of the crisis, and prepare you to respond accordingly across channels. Even better, you can use Twitter data to be proactive before the next crisis hits. Study past crises, whether they’re yours or a competitor’s, to learn how news spread, how stakeholders reacted and what messages resonated. Update your crisis communication plan based on what you learn. Research the competition. See what people say about your competitors. Compare share of voice and see how you measure up. But more importantly, what kinds of things are people saying about your competitors? What you can learn from these conversations to inform your social media content? And beyond that, pay attention to what your competitors doing on Twitter – successfully or unsuccessfully – that you can use to inform your own approach, on Twitter and beyond. Learn from the past. Look at Tweets about evergreen events that happen regularly, like sporting events, conferences and ceremonies. Learn from past events to plan for future ones. Pay particular attention to questions and suggestions from event participants to find areas you can improve on next time. Find out what people liked, the topics that generated the most excitement, the content you can re-use, and the channels where you can best reach your audience. With a little work, you can make Twitter’s immense dataset work for you. Better understand what people are talking about on Twitter to help inform your content strategy across channels and tap into the power of Twitter to create a more intelligent multi-channel marketing plan. Jenn Deering Davis is the editor in chief of Union Metrics.